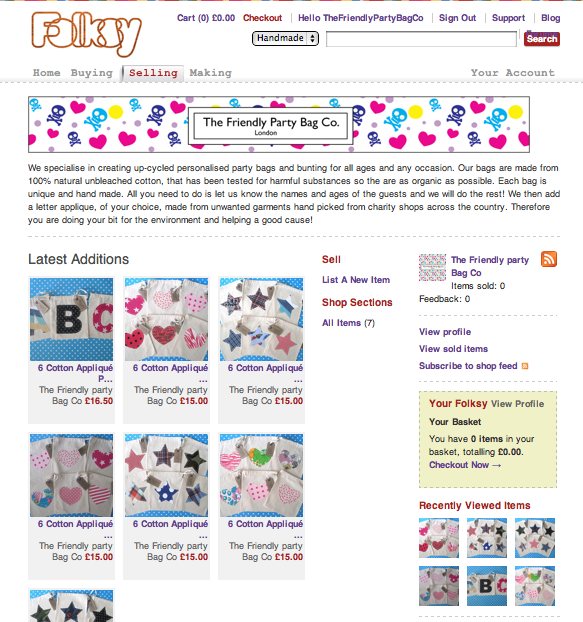 The Friendly Party Bag Co.: The Friendly Party Bag Co's Folksy Shop now open!!!! The Friendly Party Bag Co's Folksy Shop now open!!!! We have opened our Folksy Shop this week! we will be selling our up cycled fabric star and heart bags for £2.50 each and our personlised up cycled fabric bags £2.75 each in packs of 6. We will be listing bunting soon. Be sure to ad us to your favorites! From Party Bags to Shoes ......... Again!